Staff working on the BBC's international news channel will take part in a 24 hour strike starting Thursday 7th July. The strike at BBC World News is over changes to staffing rotas, which will require staff to work more hours. Industrial action will commence at midday UK time, during the news programme GMT. According to a statement issued by the National Union of Journalists (NUJ), members voted by 96.5% for the action. Turnout was not disclosed, but was described as being "strong". The NUJ says many at the channel "work anti-social, irregular and night shifts" and confirmed that the Health and Safety Executive has been investigating working conditions on the channel. The NUJ claims the BBC decision to cut costs by imposing new rosters flies in the face of that investigation, which reported staff working "excessive hours", with the BBC providing no evidence of a plan to deal with work-related stress. A long-standing agreement allowing flexible hours in an acknowledgement of working anti-social shifts is set to be scrapped. The new rosters require NUJ members to work extra days or longer hours, including extra "float" shifts, imposed as additional days on top of a regular four-week rota pattern. The union says this "will further disrupt the lives of staff already under strain because of years of job losses in News and the BBC’s failure to fill vacancies." NUJ members at World News believe the rota changes are part of savings meant to pave the way for a merger with the BBC News Channel. The merger of the two channels is thought be one of the main options being considered to cut costs across BBC News ahead of a major announcement due soon. The BBC News Channel is funded through the licence fee and many of its news gathering resources are utilised by other parts of the BBC. BBC World News is commercially funded through advertising, distribution deals and sponsorship. Both commercial revenues and licence fee funding have fallen in recent years, but many critics argue that merging the two news services is not the answer, especially when there are major UK and world news stories taking place at the same time, with the channel's different audiences demanding different priorities in the news agenda. 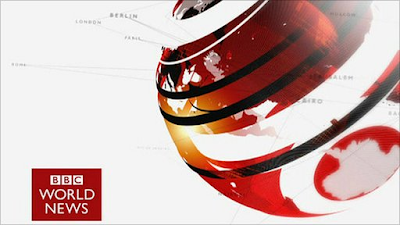 BBC World News celebrated 25 years on air in March. The channel was originally launched in 1991 as BBC World Service Television and has never been allowed to use licence fee funding, unlike the BBC World Service Radio station and its foreign language offshoots.